Thesaurus Payroll Manager provides a quick and seamless import utility to bring across your company and employee details from SAGE Micropay at the start of the payroll year. To begin the import, simply go to 'File > Import details from other payroll software > SAGE Micropay'. 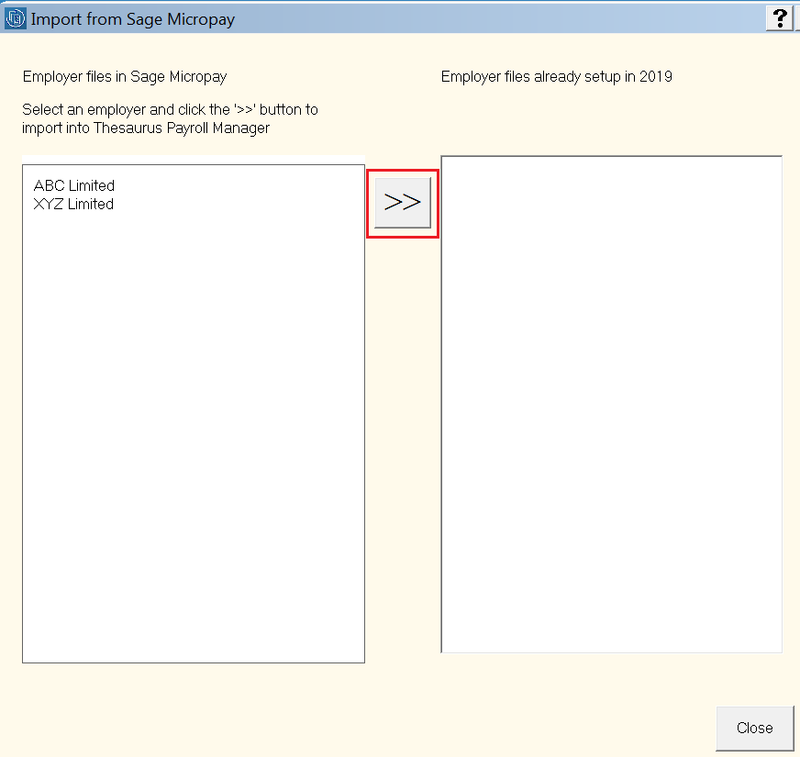 A message will appear to state that a separate utility will now launch to convert any Sage Micropay employer files to a form useable by Thesaurus Payroll Manager. Click OK > Conversion Utility Finished > Click OK again. The default location for SAGE Micropay files is C:\ProgramData\Micropay Professional\2018. If this folder exists on your machine, the software will default to this for you. If this folder doesn't exist on your machine, simply browse to where your 2018 SAGE Micropay files reside. A confirmation message will appear to confirm the import is complete. Click OK. 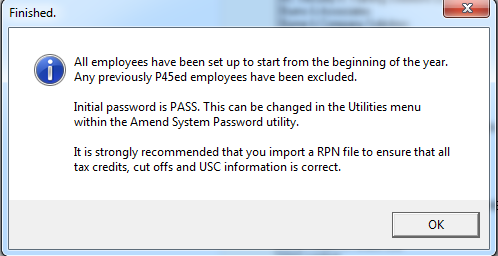 Following the import, further employee information can be manually entered using Process Icon No. 1 or Add/Amend Employees, as required. It is also strongly recommended that all employee details are reviewed before processing any payroll to ensure employee information imported into Thesaurus Payroll Manager is correct and still applicable for the tax year in question. It should also be noted that each employee will automatically be placed on emergency tax until they are updated by an RPN. Guidance on retrieving your employees' revenue information using the RPN import utility can be found here .